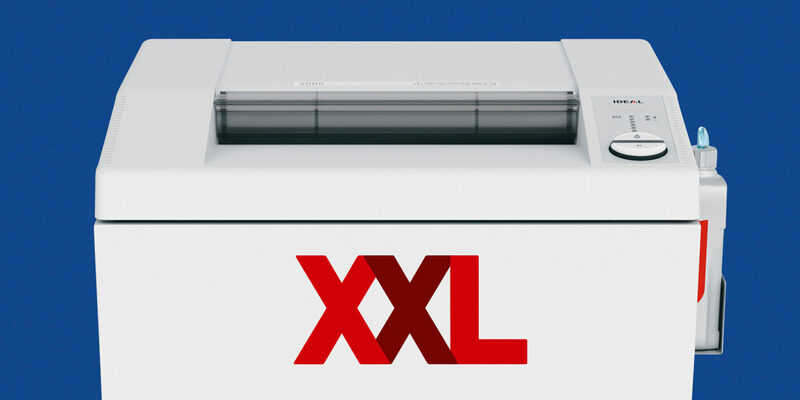 Think big: Where other shredders have long since given up, the new JUMBO document shredders from IDEAL are not even close to reaching their limits. These data protectors achieve absolute peak values in terms of both volume and performance. Indeed, the JUMBO units are more than capable of handling the GDPR-compliant destruction of large paper quantities. 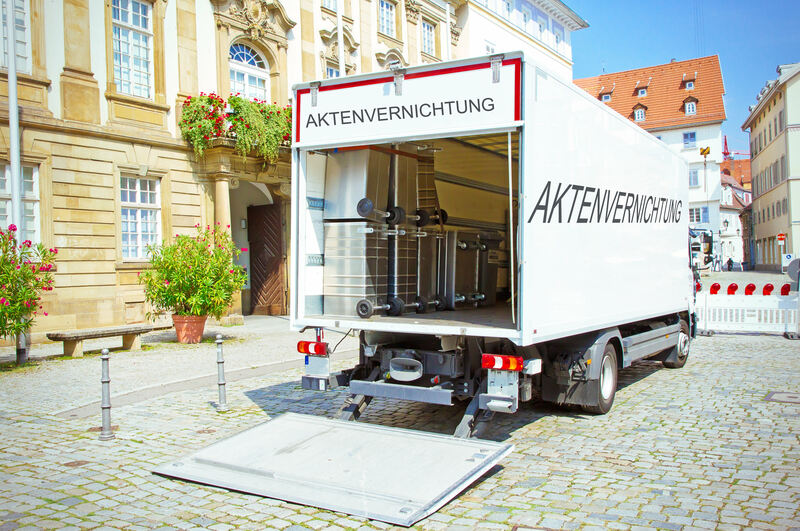 Above all, they impress with their simply enormous shred bin volume – which guarantees extremely long emptying intervals. And what's more, these XXL machines guarantee that confidential data will be fully destroyed – all completely under the user's control. 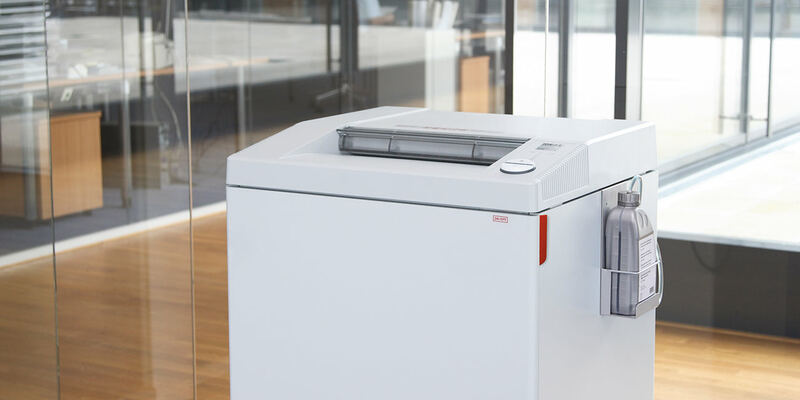 The IDEAL 2465 CC, 2604 CC, 3105 CC and 4005 CC document shredders (each in shredding versions 2 x 15 mm and 4 x 40 mm) are – in addition to the familiar shredding versions – now also available as JUMBO versions. 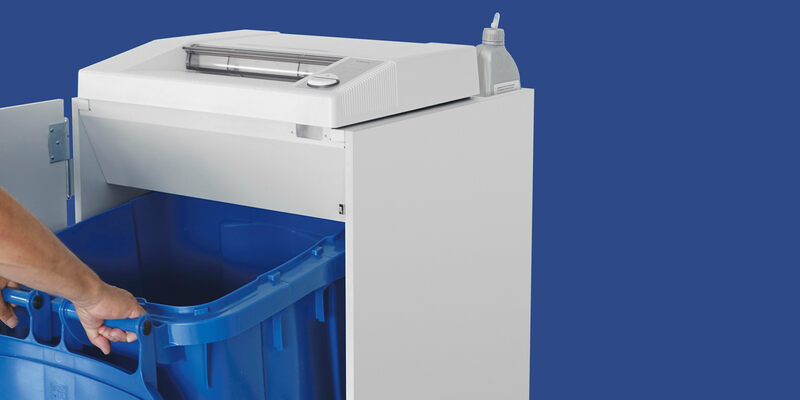 What sets the IDEAL 2604 CC JUMBO, 3105 CC JUMBO and 4005 CC JUMBO models apart is that a blue wheelie bin is used as a collection bin for the waste paper. This means that these models have an above-average collection volume of 240 litres. Thanks to the blue wheelie bin supplied for the waste paper, the shredded material can simply be supplied for general paper recycling. Boasting a 75-litre shred bin, even the smallest JUMBO model, the IDEAL 2465, offers double the collection volume of the standard versions. The environmentally friendly shred bin can be used with or without a collection bag. The machine can be emptied easily, with no mess, through its front door. When large quantities of confidential data need to be shredded, disposal by an external service provider might seem appealing at first sight, as aspects such as tied-up capital, responsibility and effort can supposedly be outsourced. However, the reality is often different. Large collection points, long transport routes and uncontrollable interim stops are the order of the day for disposal companies. Add to that the fact that the shredding result cannot be viewed and the resulting risk is incalculable. Most importantly, responsibility for the disposal of data storage media that are no longer used and liability in the event of misuse cannot be passed on – as stipulated by law. What's more, the high-quality IDEAL document shredders last for many years. Unlike fixed disposal fees, the cost of purchasing the shredder is paid off after just a short period of time. And above all, the IDEAL JUMBOs ensure secure, in-house disposal – with data protection remaining completely under the user's control. The IDEAL 3105 JUMBO and IDEAL 4005 JUMBO models come with an automatic oiler as standard. The IDEAL 2604 Jumbo is available either with or without automatic oiler. The finely dispensed, automatic oil injection lubricates the cutting rollers during shredding, ensuring a consistently high shredding performance. At the same time, the environmentally friendly special oil traps any dust that arises, cleans and cares for the cutting shafts. Height-adjustable feet on all JUMBO document shredders also allow these devices to be positioned in problematic areas, as uneven floor surfaces then present no problems.